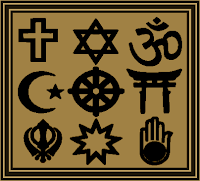 The Brookings Interfaith Council will next meet at 6:30pm on Thursday, May 14, at the Brookings Public Library. Our customary potluck will be followed by a broad-ranging discussion regarding religious imagery and respect. Do European and North American countries have speech laws that other countries or cultures do not understand? Do Westerners have difficulty understanding the cultural and legal traditions of others? How has the history of Christianity and European civilization developed in a manner different from Islam (or other traditions) regarding religious images and depictions of sacred things? We invite you to join us in exploring these questions and gaining a better understanding of the differences and assumptions behind these confrontations.